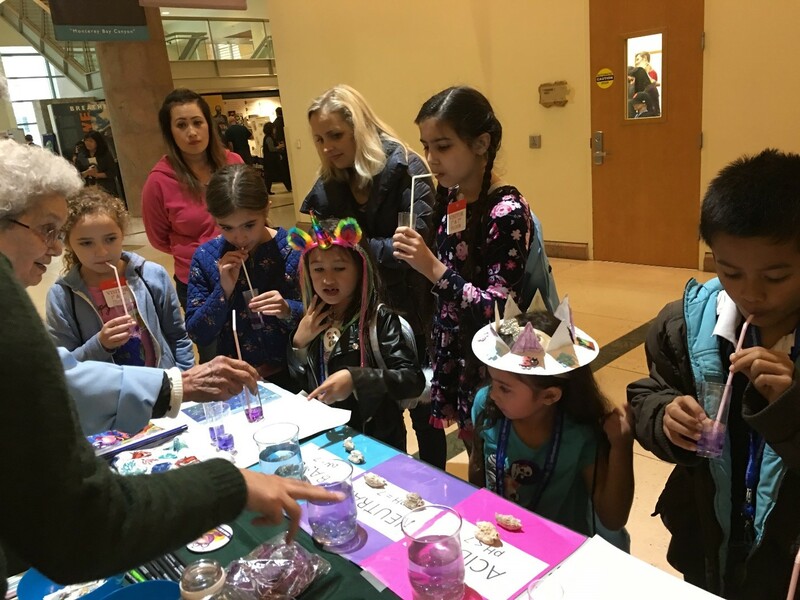 The Sacramento Section invited over 150 attendees at the annual CalEPA Earth Day Celebration to participate in an experiment demonstrating how CO2 absorption can increase acidity of the oceans. Kids and adults alike were amazed at the color change indicating a lower pH after blowing bubbles in a neutral solution with red cabbage pH indicator. The budding scientists were awarded stickers, mini-moles, tattoos and booklets with more cool experiments to do at home. Contact Cindy Castronovo if you’d like to help with this event next year. Cindy Castronovo is the Secretary of the Sacramento Section of the ACS. She is also our 2018 Volunteer of the Year for the Sacramento Section.